Rated: PG-13 for for thematic material, disturbing situations and some crude sexual content. "It's nice to think that if it wasn't for the poorly organized partnership between Jet Blue and Aer Lingus, I would have never had the chance to make the film." That is how director Lance Daly describes how he came to read the script of THE GOOD DOCTOR. He was given the screenplay by Orlando Bloom's producing partner, but never got around to reading it. A few weeks later, en route from San Francisco to Dublin, Daly missed a connection at JFK and ended up meeting Bloom in New York. Bloom reminded Daly about THE GOOD DOCTOR and Daly promised to read the script on the flight home to Dublin. "I was pretty much disgusted that I hadn't read it sooner as it was clearly a work of genius from the great mind of John Enbom," says Daly. "The way I reacted to the script when reading -- constantly surprised, shouting at the page near the end -- was exactly how I'd like an audience to react to a film." "I also liked the moral ambiguity of it", Daly continues. "It seemed like an antidote to all this good and evil nonsense that we hear a lot of these days - especially in a story set in America." Before Daly came on board to direct, the film was developed as a labor of love among its producer friends Dan Etheridge, Jonathan King, Julia Lebedev and their long-time close friend, writer John Enbom. The producers had each worked individually with John on multiple other projects, including his first feature, The Low Life, his first outing as a writer-director, Starstruck; and most recently on the lauded TV show 'Party Down.'" "John gave us the script of THE GOOD DOCTOR hot off his computer, and we knew immediately we needed to make it," says Dan Etheridge, who also served as co-creator and executive producer of "Party Down." "The script was sublime -- a thoroughly unique yet accessible suspense drama that constantly subverted your expectations, all focused around an unforgettable central character, Dr. Martin Blake," says producer Jonathan King. However, in the classic tradition of indie cinema, it took some time and concerted effort to get the film off the ground. As with most projects, the producers needed the perfect actor for the lead role -- someone who would allow for audience empathy even as 'Martin' made the morally upside-down choices that pepper the movie. Sharon Miller, Orlando Bloom's producing partner at his production company Viddywell, read the script, and enthusiastically introduced it to Bloom. They shared the producers' vision for the role and the project, so much that Bloom came on board to play Martin and to produce as well. The next step was to find the right director for the project. Bloom had met the acclaimed Irish director Lance Daly after a screening of Daly's film Kisses. Bloom loved the film, and sitting through a Q&A, he really responded to the truth that Daly directs and lives his life by. "You come out of the movie with a sense of hope which is kind of crazy because it's a very dark film," says Bloom. "When I read THE GOOD DOCTOR I really felt that I couldn't think of another director that could do it. Lance is very visual. There isn't a room, or a window, or a wall of this hospital that hasn't been used to its fullest potential. There isn't a character, or a line of dialogue that hasn't been used to its fullest potential, and Lance has been key to that." Bloom's fellow producers wholeheartedly agreed after meeting with Daly. "Lance articulated a compelling vision for our film," says King. "We thought Kisses was beguiling, and all of us knew that with him on board we had our package." Though it took many years to find the perfect package, once the producers did, everything happened rather quickly. The production's financier, producer Julia Lebedev's company Code Red Productions, immediately grasped the potential for the project when they came on board in August 2009. Pre-production started in October, and the actual shoot began in February 2010. 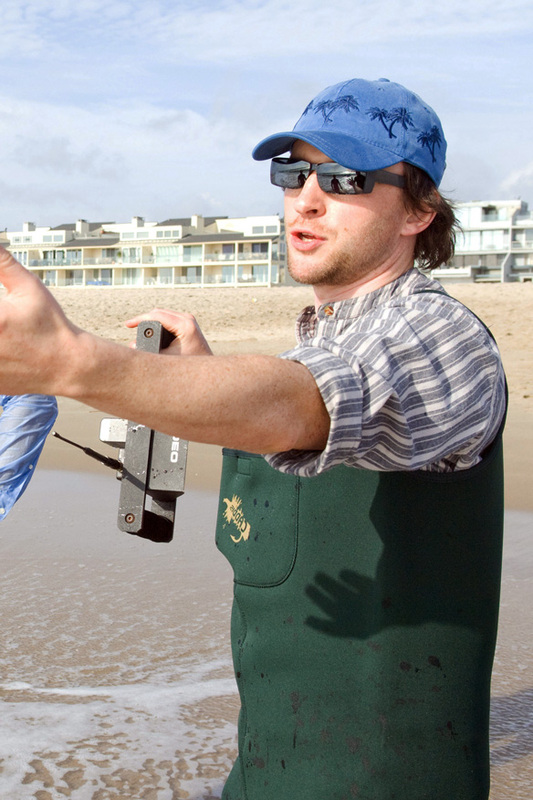 Although the shooting schedule wasn't easy, Daly's directorial style and a nimble cast and crew managed to finish in the scheduled 25 days. Finding the right hospital proved the greatest single challenge. Daly's original plan to build a set proved too expensive, so production started looking for the real deal. "It was important practically and creatively," says Dan Etheridge. "There are so many architectural and decorative flourishes in a hospital that we've all become so accustomed to -- the slightly wider doorways or the subtle railings on the walls, for example. Bringing these touches to a set is costly and hugely time-consuming. Not to say that our production designer and her team didn't have their work cut out for them giving re-birth and a unified new aesthetic to a defunct hospital." Initially, producers scoured the Southeastern US, hoping to take advantage of tax incentives and closed hospitals in various states. Ultimately, the California tax incentive became available, and they were able to stay home, with all the attendant benefits of shooting in Los Angeles. The now-closed Century City Hospital provided their main home for the bulk of the shoot. 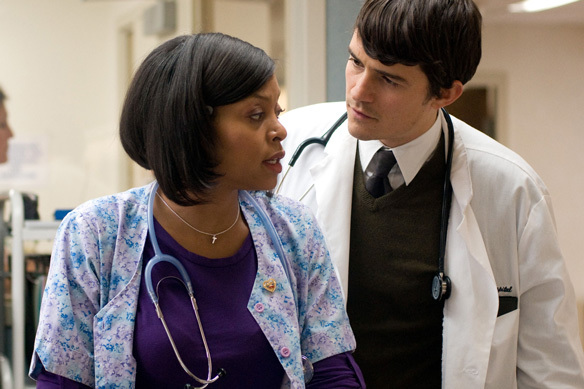 "It felt authentic to shoot in a real hospital," says Taraji P. Henson. "Quite spooky as you don't know who died in these beds, but it made it all very real." Adds Orlando Bloom, "I had a visitor come on set who said 'Oh my God, I had an operation in this hospital' and I was like 'well, it was probably in this room as this place is tiny'. So it definitely lent itself." With Orlando Bloom in place to play the title role of Dr. Martin Blake, the producers and Lance Daly assembled a stellar ensemble of seasoned actors and fresh faces to complete the cast, including Golden Globe and Emmy nominee Rob Morrow ("Numbers," Quiz Show) Academy Award nominee Taraji P. Henson (The Curious Case of Benjamin Button), Michael Pena (Crash, Battle: Los Angeles), Golden Globe nominee Troy Garity ("Soldier's Girl"), J.K. Simmons ("The Closer," Juno), and Riley Keough in her first leading role. All of the actors were very much in agreement that the main reason that made them be part of the film was Enbom's screenplay. "I read it in one seating, which is unusual, and I was just completely compelled by the story," says Rob Morrow. "I couldn't imagine where it was going and that rarely happens, and as soon as I finished it, I just jumped at the chance. It's a great yarn." "I was both excited and daunted by the idea of portraying this guy," says Bloom. "What attracted me to Martin was this flawed human quality we can all relate to. I think the darkest sides of our character and the parts of ourselves that we don't talk about or reveal to the world is sort of the world that Martin lives in. He acts without any thought of consequences -- instinctively, impulsively, and without any responsibility or consideration or thought for what he's doing. I think it's a part of the human brain that we all kind of tame and work on." Troy Garity's attraction to the script was the idea of there being a bad doctor amongst the hallways of the hospital. "I always have a paranoia that I'm risking my life in the hands of these other humans, and what if one of them is a bad apple or not quite mentally stable, and I feel this film really plays on that quite well." Taraji Henson cites two deciding factors for signing on. "I read the script and I'm like, oh, this is sick -- I want to be a part of this. And then Orlando Bloom is easy on the eye." Daly's one bone of contention during casting was the role of Diane. "Everyone had a different opinion and there were many stages to the selection. Part of this may be because I unwisely stated that the film would live or die on whoever we cast as Diane - a little melodramatic perhaps but with a grain of truth - and it became a high stakes game in the weeks leading to shoot. In the end we cast Riley Keough who turned out to be magic." With only one supporting role in a feature under her belt, Keough joined the experienced cast to great acclaim. "Riley's remarkable," says Orlando Bloom. "She's instinctively got a quality that just lights up the screen." "I feel very lucky to get to work with someone special like Lance," says Keough. "I don't know how to describe it. He really knows how to get what he wants across to me clearly. And all the actors were just incredible to watch, and they made it so easy for me which was the best thing I could have asked for." The rest of the cast is adding to Keough's praise for Daly. "Lance is a wonderful young director and he's very powerful, but in an unassuming way," says Troy Garity. "He goes for very natural performances and always wants to sort of strip back the actor. He gives very calm and precise behavioral notes and it's just been great working with him." "I keep calling him Kubrick, "concludes Rob Morrow. "Very symmetrical frames, linear, everything's lined up very precise. It's Kubrick with a Hitchcock sensibility." Daly was pleased with how well everyone worked together, considering the tight shooting schedule of 25 days. "The entire cast worked towards exactly the same goal and everyone appreciated that time was short and were very patient. It kept things moving at a good pace and also created a good sense of camaraderie. Orlando led this charge by patiently waiting on set while we moved things around, standing in for himself for a lot of setups and always being well prepared. And I think this focus is clear in the quality of performance he delivered in the end. If it wasn't for all the rice cakes on set, he'd be the perfect leading man." 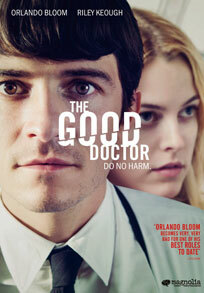 Orlando Bloom and Riley Keough in THE GOOD DOCTOR, a Magnolia Pictures release directed by Lance Daly. Photo courtesy of Magnolia Pictures. 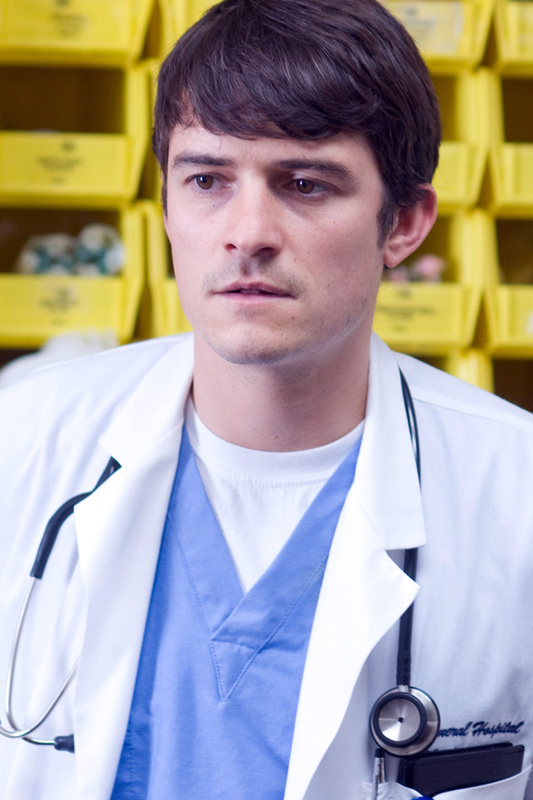 Orlando Bloom in THE GOOD DOCTOR, a Magnolia Pictures release. Photo courtesy of Magnolia Pictures. Director Lance Daly on the set of THE GOOD DOCTOR, a Magnolia Pictures release. Photo courtesy of Magnolia Pictures.